Returning to where everything started 27 years ago, in 1990, in the exhibition spaces of the Modena Fair. But, in addition to the geographic one, it is also a return to the original intuition, that of a large national convention in which to point out the state of the art of health and safety on the workplace. This is the eighth edition of Ambiente Lavoro, which is scheduled to take place in the Emilia-Romagna city on Wednesday 13 and Thursday 14 September, to which Inail will take part as a promoter and co-organizer. 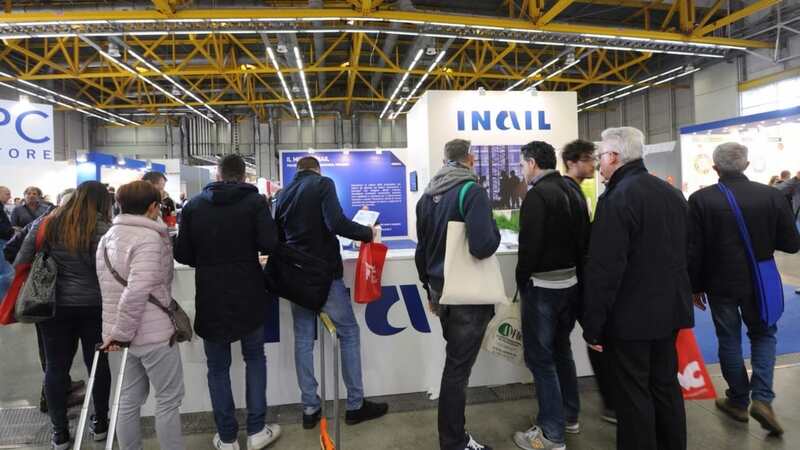 Inail participation, with projects and products, seminars and workshops. In Ambiente Lavoro 2017, Inail will be present with its own institutional booth for information and promotion of major ongoing projects and products. With the organizational contribution of the Center for Prevention, it will bring its cognitive and technical heritage, which will be channeled through the participation of its professionals working in the various organizational components of the Institute. Following the articulated program of the workshops and seminars promoted by the Inail, a wide spectrum of the various topics presented by the Institute's experts to the technical-scientific debate with the experts of the sector: from the asbestos risk in the buildings to the critical of the cd. "Decree stages" on security in trade fair and entertainment events; From the costs of non-security in the various manufacturing areas for artificial and natural optical radiation. And again, from the analysis of operational tools for the evaluation of biological occupational risk to the analysis of hazards in hot working environments; From the certification of safety management systems to accident analysis, from "inline" to those in electrical companies.